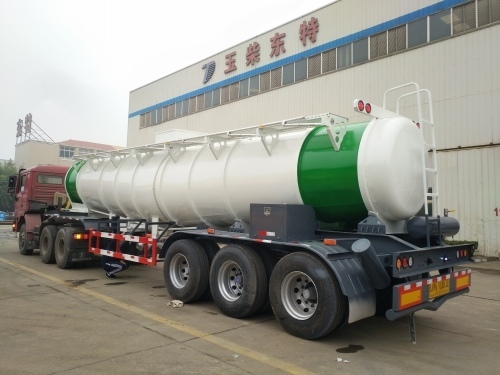 Product categories of Tanker Semi-trailer, we are specialized manufacturers from China, Tanker Semi-Trailer, Aluminum Fuel Tanker Semi-Trailer suppliers/factory, wholesale high-quality products of Tri Axles Oil Tanker Semi-Trailer R & D and manufacturing, we have the perfect after-sales service and technical support. Look forward to your cooperation! Our company-Yuchai Dongte Special Purpose Automobile Co.,Ltd is one of the biggest supplier for Tanker Semi-Trailer or tankers.Our Tanker Semi-trailer including Fuel Tanker Semi-trailer, crude oil tanker semi-trailer, Bitumen Tanker Semi-Trailer, Asphalt Tanker Semi-Trailer, Chemical Tanker semi-trailer, Water Tanker semi-trailer, etc.